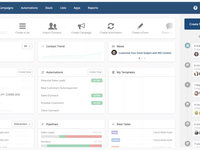 LinkPoint Connect supports CRM users with email integration. Existing Salesforce, Microsoft Dynamics CRM, and Infor CRM users can seamlessly integrate with Outlook or IBM Notes. Supports Citrix.